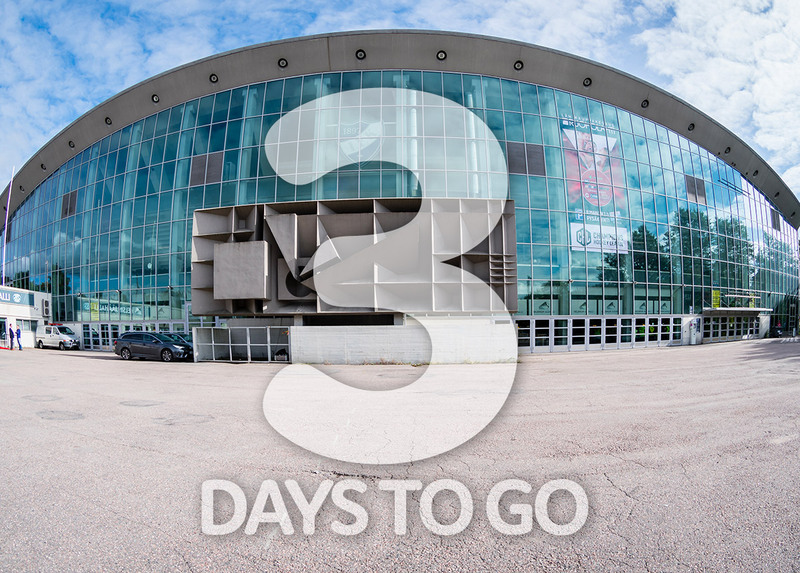 Relive the second day of competition last Saturday in Mississauga! With more than 100 participating teams from across North America, Winterfest took place during 3 days. Saturday was a packed day at the Hershey Centre, with most teams vying for medals in their final performances. The first champions of the day crowned came in the pre novice event, where Sparkling Ice took the gold (55.69), Golding Ice (52.73) the silver, and the Magic Blades took bronze (51.75). Next was juvenile, where Gold Ice took their first medal of the event- gold with 46.36 points, silver went to Golding Ice (45.48) and in an extremely close race, the bronze went Nova (45.19). Intermediate medallists were next, with a new intermediate team- Les Pirouettes edging out the reigning Canadian champions- Nexxice Intermediate for the gold. Les Pirouettes took first with 95.40 points, and Nexxice took silver with 95.13 points. Bronze was awarded to Meraki, who sat in a devastating 5th after the first skate, they scored 90.68 to round out the medalists. Nous ramenons l’or à la maison pour une 2e fois cette saison!🥇 Nous sommes très fières de notre fin de semaine à Winterfest et nous sommes prêtes à continuer de travailler fort💪🏼 Bravo aux autres équipes inter et à notre équipe Open!! We are bringing home the gold for the 2nd time this season!🥇We are so proud of our weekend at Winterfest and we are ready to continue working hard💪🏼 Congradulations to the others intermediate teams and to our Open!! Congratulations to @goldicesynchro novice and junior! We are proud of you! The open category saw several new teams, similar to junior, as a result of the new age requirements, requiring several teams to change from intermediate to open. The reigning Canadian champions, Nexxice maintained their gold medal streak, winning gold with a total of 136.61, over the Ilderton Open team, winning silver with 122.89, and Gold Ice winning bronze with 120.73. The novice event saw a Quebec sweep for gold and silver, with Nova (Brossard, QC) winning gold (95.20), Les Supremes (St. Leonard, QC) taking silver (89.55) and Nexxice of Burlington, ON ended the Quebec reign by winning bronze with a total score of 83.00. The last events of the night were some of the most anticipated. The final round in the junior world qualifier would determine the two teams chosen to represent Canada at the junior worlds in Zagreb. Despite a second place finish in the free program, Les Supremes managed to maintain first place overall and were named Team Canada 1 with their chess themed free program. They earned a total of 159.10 points. Nexxice took the silver and were named Team Canada 2 for the worlds. Their “pure imagination” program featured an intricate storyline of dreams and nightmares- scoring 154.18 overall. 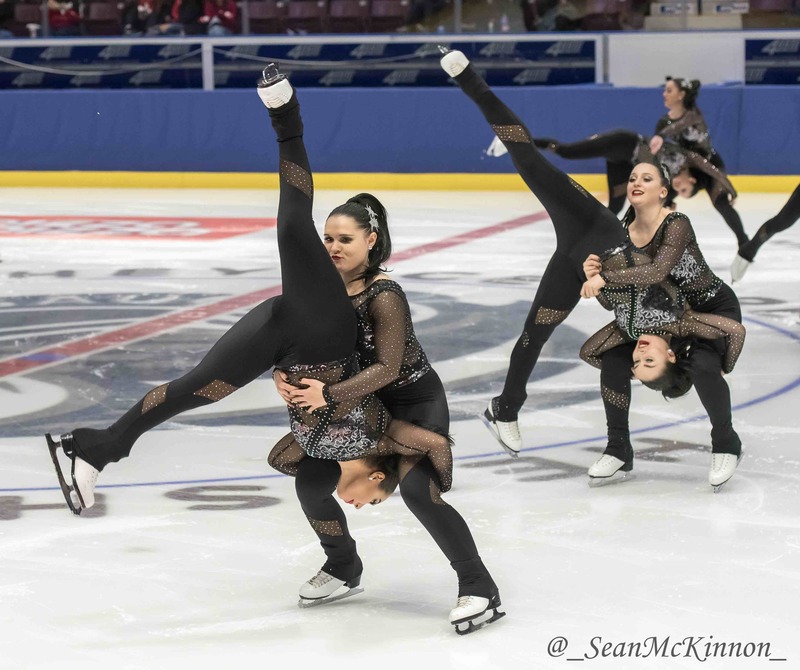 Third place was maintained by Gold Ice with their “female villains” theme, scoring 124.50 overall, and a strong chance to be selected for the Canadian National junior team, and receive an international assignment for next season. The senior free program was next, Nexxice took gold with their unique free program entitled “Rhythm Blues featuring Leon Bridges: Take Me To Your River. 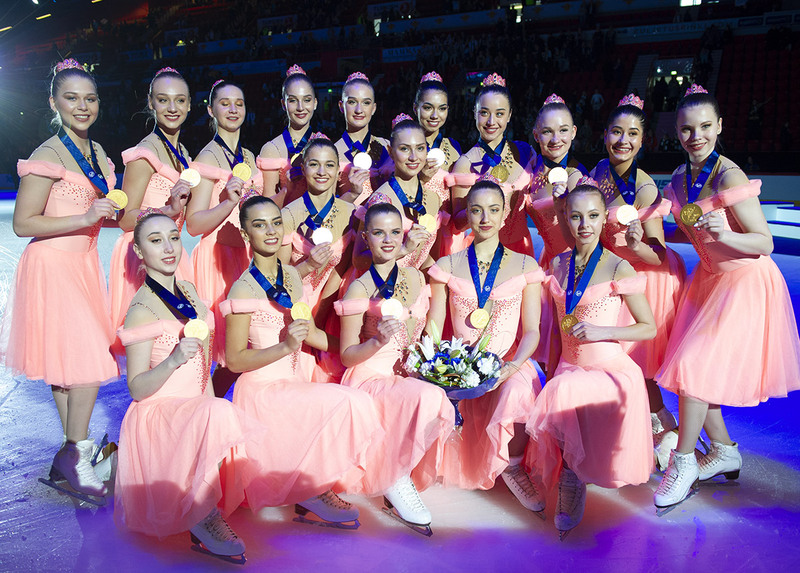 The team highlighted four skaters in the darkest blue colour, while all other skaters wore different shades of blue, to represent a body of water. 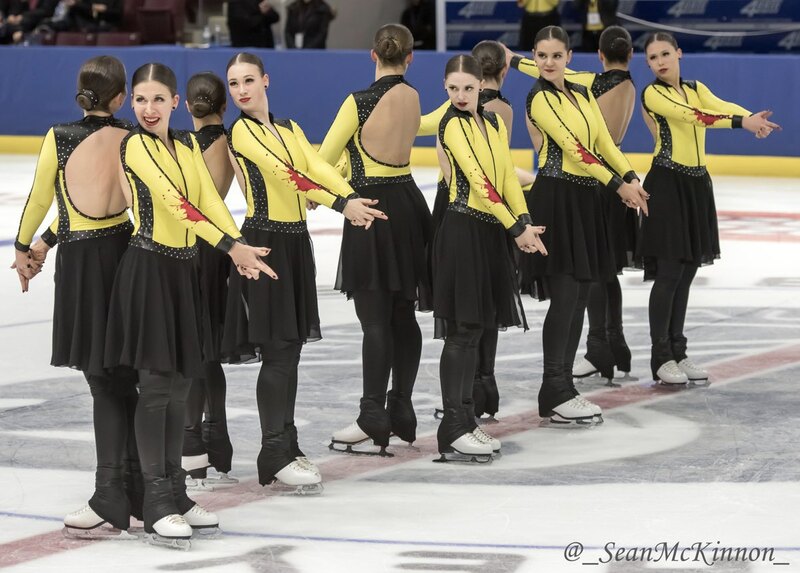 Choreographer Shae Zukiwsky chose to have a series of different necklines on the dresses, to best suit each body type on the team, with the goal of making synchro more individualized in appearance. The silver medal went to Nova, with their breathtaking free program to “Liebestraum” from the Slovak Philharmonic Orchestra. A touch of ice dance graced the end of the program, with the sole male skater and one girl, performing a featured lift as well as pair spin. They took the silver with 181.43. 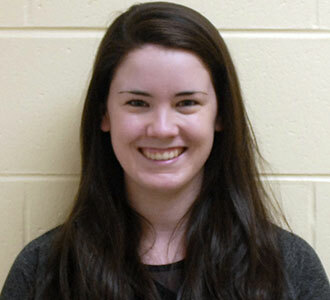 The Adrian College Bulldogs earned the bronze medal (124.71) after a week plagued with injuries and substitutions. They opted to leave out one of their lifts for safety- a good decision as the program was solid and they performed from their hearts for this Canadian audience. The final event of the night was the Adult 1 qualifying skate. This skate would determine the top nine teams and place them in a “Gold Final” for Sunday, and the remainder teams would compete in the “Silver Final.” However, scores from the first day would be wiped, and teams would have to start fresh on Sunday- not relying on any type of lead in scores from the first day.